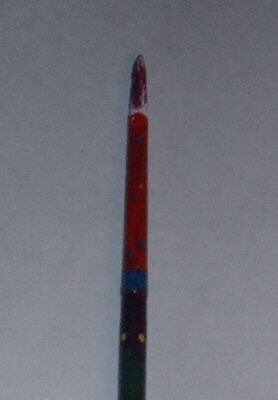 When my trusty paintbrushes can't be used anymore, I can't bear to throw them away! I used to just keep stashing them away, even though I never use them. 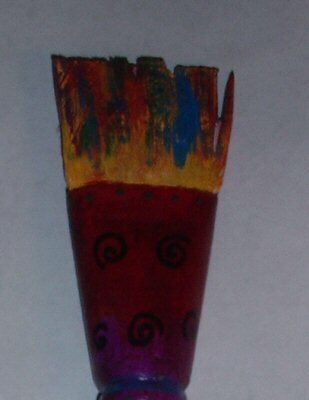 Now I am offering them as a piece of artwork, my retired paint brushes! Cute little black cat measures 13" tall. She's made of hand-painted muslin with a colorful layered dress. Signed & dated with a loop on back for hanging.